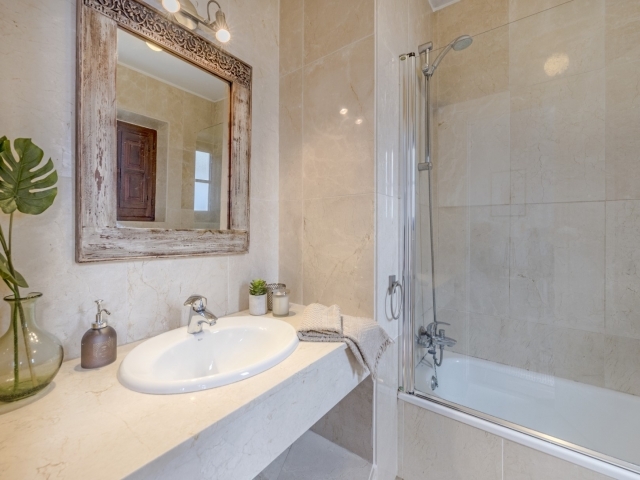 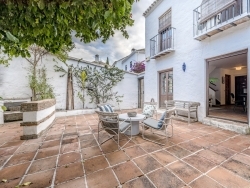 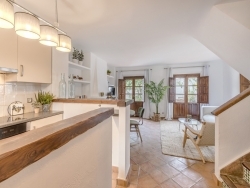 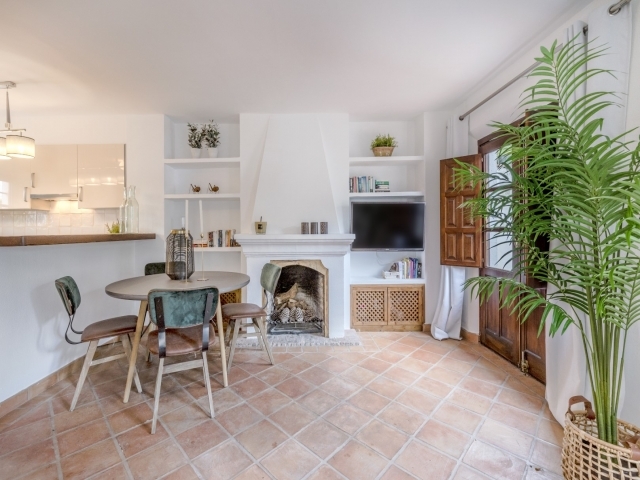 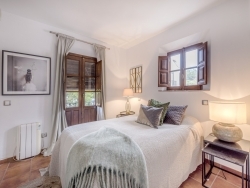 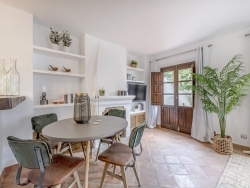 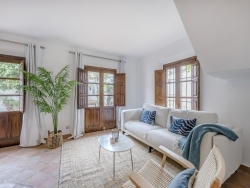 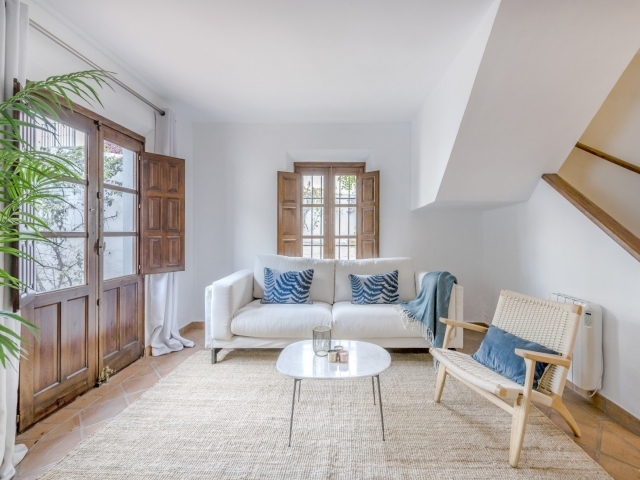 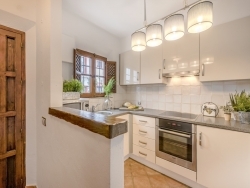 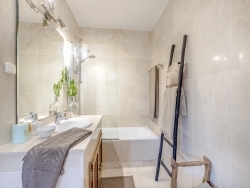 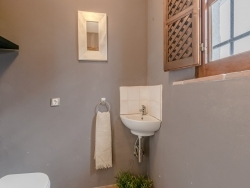 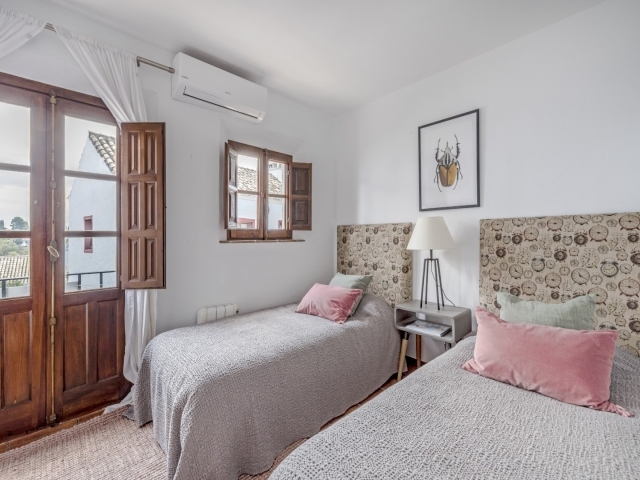 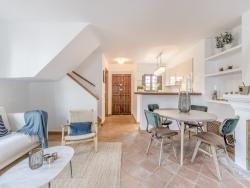 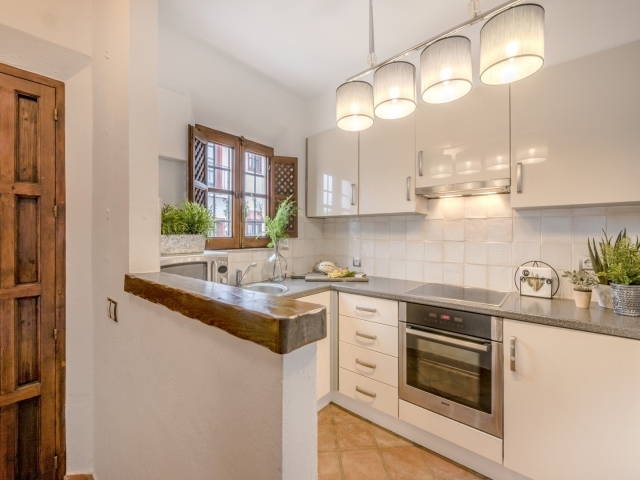 This townhouse is built in 2 levels and it comprises a totally refurbished open kitchen, guest bathroom, good size dining/living-room with a cosy fireplace, Andalusian patio to enjoy barbeque. Two bedrooms on the upper floor each with bathrooms en-suite. 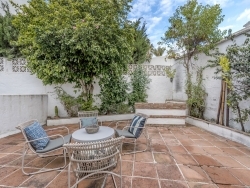 The complex has a tennis court, large communal swimming-pool area with gardens, ideal complex for a family home or perfect property for holidays.